Petr Svoboda of Czech Republic has won the PokerStars Festival Rozvadov Main Event and pocketed an amount of €124,346 as first prize. The player did geat at the end and collected the first prize of the title. 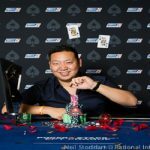 The €1,100 buy-in Main event attracted 1,123 players from whole Europe and generated a huge total prize pool. Michal Lubas of Poland becomes runner-up of the event and pocketed €91,000 from the game. 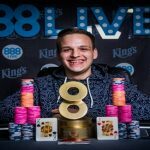 Meanwhile third and fourth places of the match belong to pro poker players from Slovakia and Germany and they were Stanislav Koleno who pocketed €87,444, and Michael Rohde who pocketed €78,966 from the championship. A deal among top four players decided that the winner will take extra €10,000, while the runner-up will take home extra €5,000 from this particular Main event which took place at King’s Casino, in Rozvadov. A total of 37 players started playing the game on Day 3 of the championship and that why it took almost 18 hours to decide the title owner. 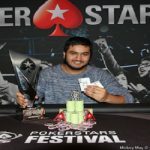 All eyes were at PokerStars Festival London winner Rehman Kassam but he busted in early stage of game. The very first player who busted from the final table of the Main event was Jan Stariat of Czech Republic, who took home €14,508 from the tournament and completed his journey at eighth place. Hungary’s Peter Kamaras eliminated after that. He made €20,186 and was booked at seventh place. 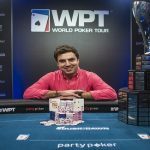 Sixth and fifth places were from players from Slovakia and Belgium and they were Marian Flesar (€28,086) and Cenk Oguz (€39,078).